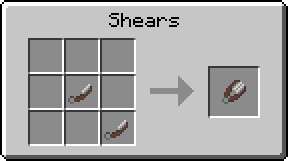 Stuff also has changed, so if you use the mod, I HIGHLY recommend getting JustEnoughItems (JEI) as well! I will also reformat this thread with the new stuff once this mod hits beta. This mod requires you to have at least Java 7! If you run Java 6, you need to update your Java! You have an issue/crash? Please use the issue tracker now on GitHub! Stuff posted on here will get ignored! 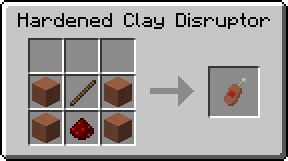 So you're probably wondering to yourself "A mod involving clay? No Way! I need all the grey goop I can get for my brick castle!" Well put those tried, burnt hands to rest for a second and think about this: What if you could create your own miniature army out of clay and stage the most epic battles imaginable in a space small enough to be your backyard? Now before you accuse us of being a madman, take a look at this mod. Read ahead through the thread, and you'll see just what kind of violent mayhem you can cause with just a few simple materials plucked right from the ground. A clay soldier is an item you can hold in your hand. 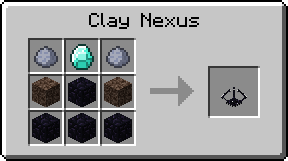 It is crafted using a clay block (for substance) and soulsand (for sustaining intelligent life). Once you have a nice little pile in your hands (up to 16), right-click to place them all at once or sneak-right-click to place only one. 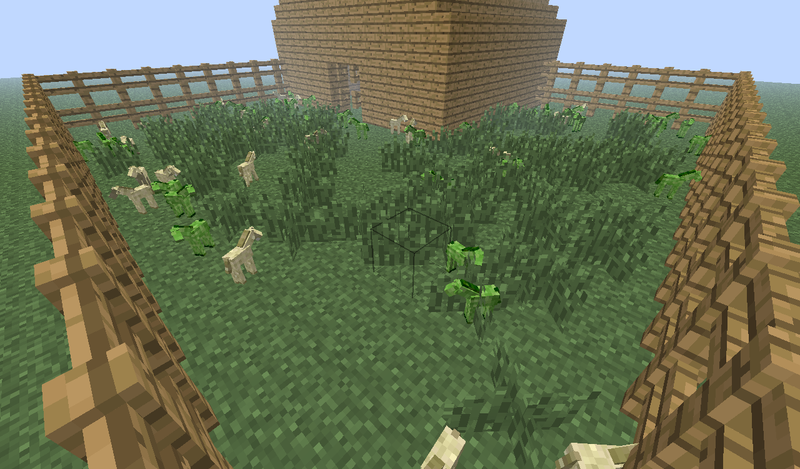 They will quickly spread out and begin to roam the landscape. The soldiers walk slow and don't jump very high, but they have enough arm strength to climb up a single block. Unfortunately, since they lack a decent skeletal support structure (or even skin, for that matter), their delicate figures can be horribly mutilated by even the weakest of blows. 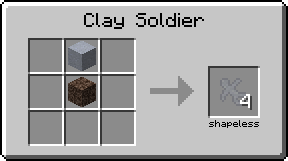 A player can cripple a clay soldier in just a single punch. So naturally, they aren't hostile towards anything bigger than themselves. But what in the world are they qualified to fight against? Other clay soldiers, of course! There are a whole lot of different teams you can craft your pale gray soldiers into: All 16 dyes (light gray count as regular soldiers for that matter) and even melon/pumpkin flavored! If you place two (or more) different teams and they can see each other, they immediately begin to fight. You're probably thinking: "Well, that's neat and all, but is there anything to spice up the fights?" The answer is: Of course! Clay Soldiers can ride a plethora of different mounts and can hold a huge array of upgrades, on which you'll find out shortly. Before we'll talk about the mounts, lets firstly talk about how to clean up a mess! Your soldiers run away and you don't want to chase them around, killing every single one of them? Or you're just tired of the current fight and want to restart the match with different upgrades? Then we have the right device for you! Upon usage it will kill every soldier (and mounts, too) in a 32 block radius, clean and tidy! 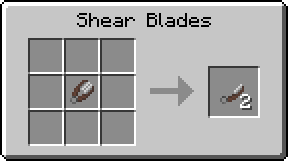 There's also a hardened version, which gives the double amount of uses. For the creative crafters: When you use it while sneaking, you can delete every clay soldier / mount item laying on the floor, too! Indeed you can craft a trusty steed for them to sit on! 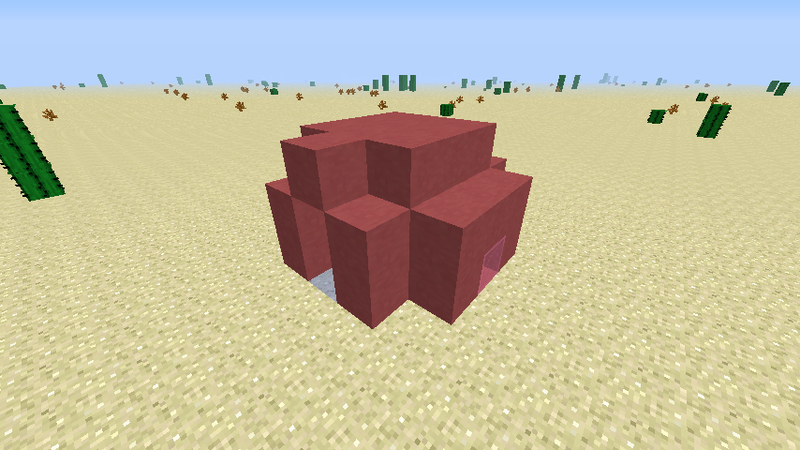 Simple soulsand and a material, which is usable to craft a horse for your personal armies to ride and enjoy. Horses have no team allegiance, so any soldier can ride any horse. Depending on the used material, a horse will have either more health or more speed. In 50% of cases a soldier with a horse gets hit, the horse will take the damage instead of the rider. Be careful not to burn the horses, though! But normal horses may be not enough for you. So why not try pegasi? Those elegant flying creatures will hover above the ground and share the same material treats as horses. 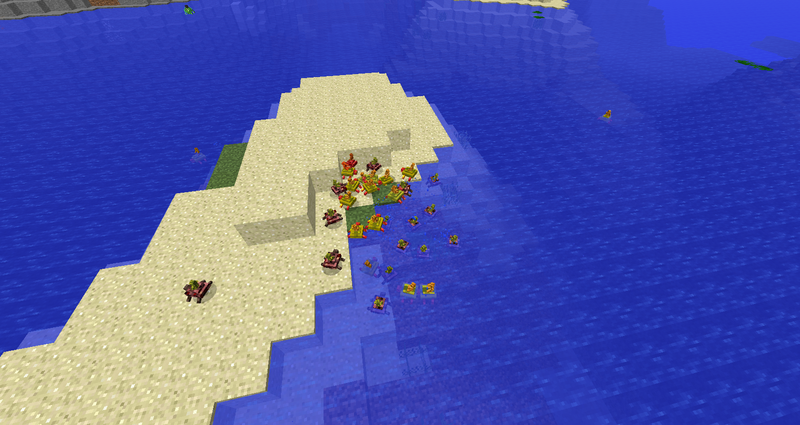 These adorable little things come in different flavors, which are all capable of holding your armies above water. Also, if they get damaged, they'll reflect a small potion of the damage back to the attacker! Other than that, each type has it's own speed and health values, just like horses do. Bunnies come in ALL the wool colors and, different from their horse/pegasus/turtle counterpart, have the same speed and amount of health. They will hop as high as the player can, even when ridden, which is amazing considering their size! Oh, and they constantly jump around when a soldier hops on them, making it difficult for the enemies to hit them properly. Those spider-like creatures can be crafted from any type of (vanilla) sapling, so there are the richest mount regarding type variety! You ask "Why spider-like?" Well, because they can climb up to 3 block-high walls! Despite having so much different types (36), or even because of that, they are all the same regarding speed/health, just like bunnies. The day of extended, never ending battles is upon us! This is the greatest piece of clay-technology we've ever made. This device, when activated, will call upon the spirits of fallen soldiers of the many battles past to return to the frey in an attempt to redeem themselves in combat once more! It can also provide a spirit-mount for the spawned soldier. Both won't drop any item upon death, neither themselves nor their upgrades! 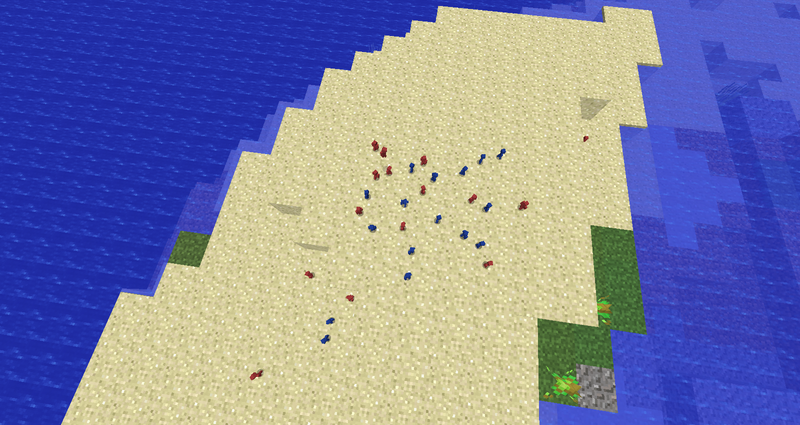 Enemy soldiers will attempt to deactivate the nexus, but only when they have no target to attack anymore. Did we tell you that it can throw anything the soldiers can throw? No? Well, now you know. You've always wanted to know how many soldiers are on the battlefield and predict who will win? 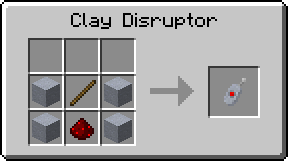 We've heard your calls and crafted this next wonder in clay-technology! Just by holding it, you can see which team with how many members is on the battlefield. It even goes as far and counts the number of mounts. This is a non-finished feature for now! Stuff can change, you have been warned! For all those adventurers out there, we've asked the all-mighty ChunkGenerator to add those to his generation features, and he finally heard us! When generating new chunks of land (either by generating a new world or by exploring new areas), you may encounter one of these buildings, filled with peaceful clay soldiers and a chest filled with clay-related stuff in them. But be careful, since there is a chance of encountering a zombified hut whose inhabitants are out to kill you! So you've come all the way here and asking yourself: "Well, how do I install it then?" Here's the answer to that, mate! You need to have my Manager Pack (required by all my mods)! We will organize all the updates to the new thread style, but it takes time, so have the old style within the spoiler (w/o changelogs)! Also alpha/beta build will NOT be listed here, sorry! Please note those versions are not supported! Use at your own risk! This is the beta build! Stuff may be changing! You want to support us by spreading this mod? Have one of those neat signature banners! This mod is amazing! Mr. does not agree! This mod is amazing! Mr. agrees! Stop inspecting my post so closely. ive always loved this mod, and i always though mabye there could be more to it. i wish the best of luck to you! Awesome! I'm going to use this again! Maybe you could give some :Flint and Steel: so they could burn their foe. Some torch so that they could light their way in the dark. Are you gonna add more features to this mod? 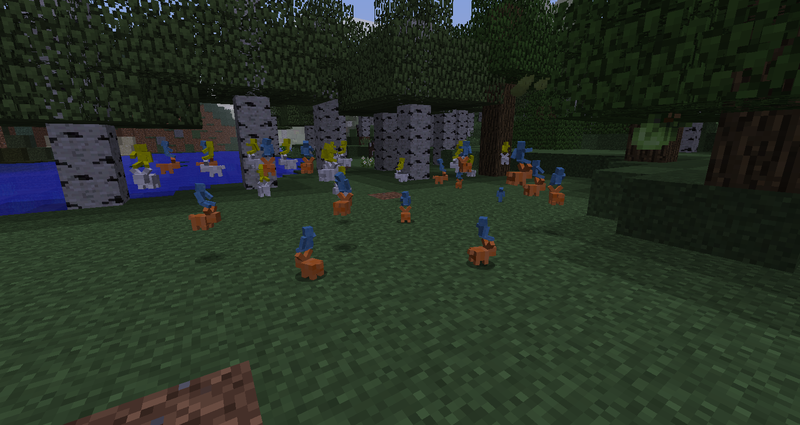 This is my favorite mod and I am so glad you updated it. Diamonds for you. And Koda. Maybe you'll listen to this request, could you make it so that you can craft a Clay Soldier with its upgrades, to pre-arm it for battle? That would help sooooo much! 1. brick walls, give a soldier a brick and he can build a wall, the only team that can climb a wall is the one that placed it, even though the brick is small and short. Other teams try to break it. 2. netherrack dragons and mossy turtles, they are the equivalent of a jet and a tank. They can still be defeated. 3. redtone torches are wands, they can fire an energy ball every second, it also has the melee strength of a stick. 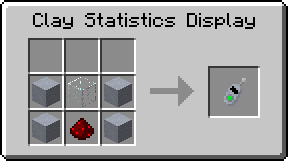 4. coal firebreath, two uses, like redstone and slimeballs. 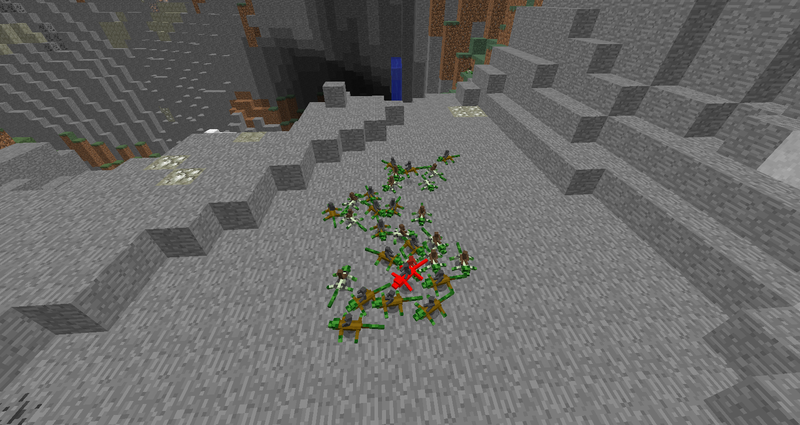 5. arrow javelins, they can throw them! 6. blase rod swords, they burn stuff. 8. blase powder boosts strength. 9. fire resistance, fire won't damage soldiers much so it doesn't instantly kill them, all soldiers have this. 10. clay giants, crafting the normal soldier recipe upside-down makes one clay giant, giants can't use items but are powerful enough alone, they can't be revived. Edit: I forgot to note, clay giants are only relitively giant, they're only a block tall and double the hight and width of a clay soldier. Remember, to clay soldiers you're God, so to clay soldeirs giants are huge, but to giants you're huge.